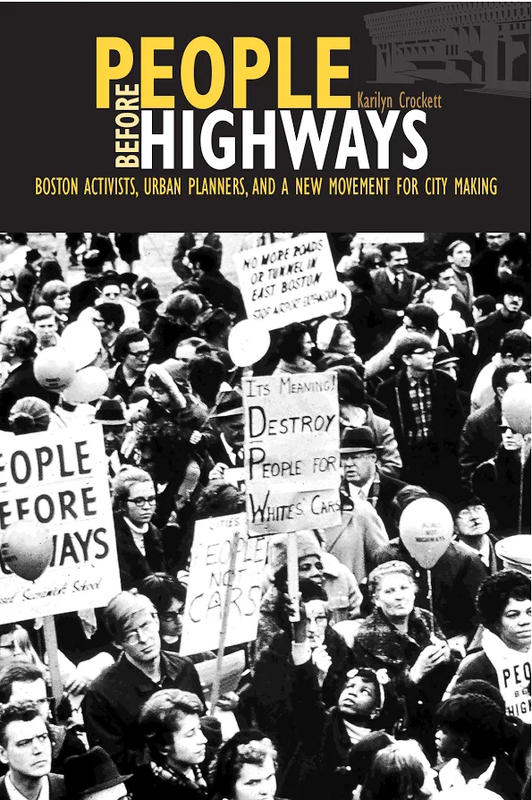 Linking archival research, ethnographic fieldwork, and oral history, Karilyn Crockett in People before Highways: Boston Activists, Urban Planners, and a New Movement for City Making, offers ground-level analysis of the social, political, and environmental significance of a local anti-highway protest and its lasting national implications. The story of how an unlikely multiracial coalition of urban and suburban residents, planners, and activists emerged to stop an interstate highway is one full of suspenseful twists and surprises, including for the actors themselves. And yet, the victory and its aftermath are undeniable: federally funded mass transit expansion, a linear central city park, and a highway-less urban corridor that serves as a daily reminder of the power and efficacy of citizen-led city making.